The Early Classical Revival style developed at the end of the 18th century and reflected a desire to take architectural inspiration directly from the ancient buildings of Rome and Greece. While earlier styles (the Georgian and Federal styles) were also inspired by these classical forms, they relied more on architectural details and did not attempt to recreate the look of those ancient buildings. The Roman Classical Revival style (sometimes called Roman Classicism) and later the Greek Revival style emulated the form of classical Roman and Greek temples. The Roman Classical Revival style was promoted and popularized by Thomas Jefferson, who found the impressively monumental architecture of ancient Rome a suitable model for the newly formed nation. This style was thus a political symbol as well, likening the young United States to the once powerful and influential Roman Republic. Jefferson designed his own home Monticello, the campus of the University of Virginia, and the Capitol of Virginia in this style, using ancient Roman temples as his guide. The Roman Classical Revival style was rarely found north of Pennsylvania, with most examples occurring in southern states. The Bank of Pennsylvania, built in 1800 in Philadelphia, was an early important example of this style. The emphasis turned from Rome to Greece as the Greek Revival style developed around 1820. American interest in the culture of ancient Greece grew from sympathy for the Greek War of Independence (1821-1830) and emerging archaeological finds showing Greece as the earliest democracy. Also, Roman inspired architecture was associated with England, and after the War of 1812, there was a strong desire to shake off English influence and define a new national style. The Greek Revival style has much in common with the Roman Classical Revival style in its reliance on the temple form, front pediment, and classical order columns. There is considerable variation in the public and private buildings designed in this style. Some buildings appear to be Greek temple replicas and others simply use the temple shape and form with distinctive details. 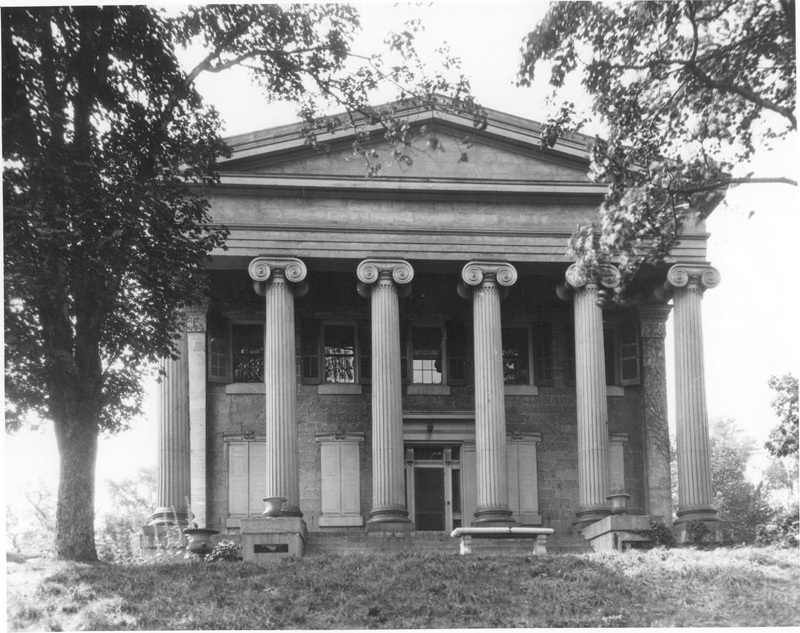 There are many more surviving examples of the Greek Revival style in Pennsylvania than the Roman Classical Revival style, because the later Greek Revival style was far more popular and wide spread. 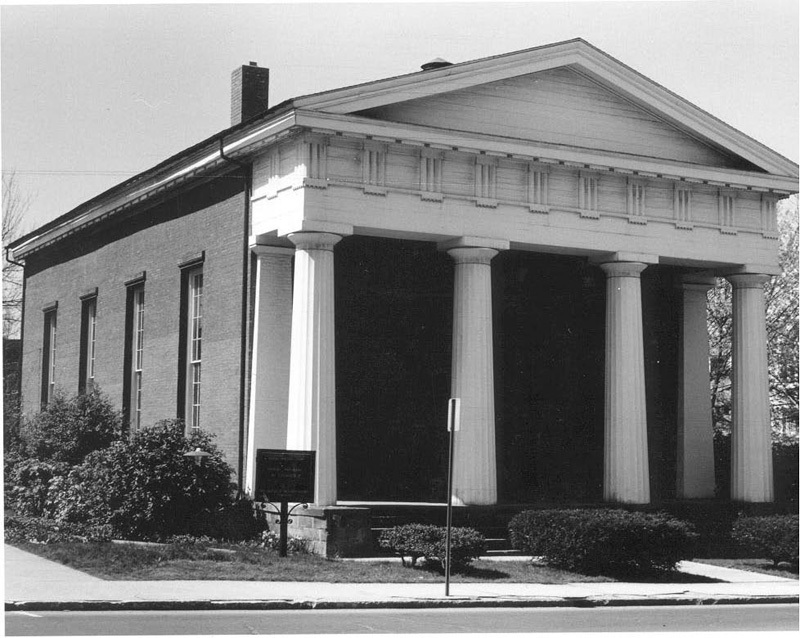 A typical Roman Classical Revival style building in Pennsylvania would have a front facade dominated by a full height columned portico topped by a gabled pediment. An elliptical shaped lunette window might be present at the center of the pediment, with a similarly shaped fanlight over the paneled front door. A building of this style would also have symmetrical placement of windows and doors, usually in a five bay front façade pattern. Cornices are narrow, often with a narrow band of dentils or modillions. 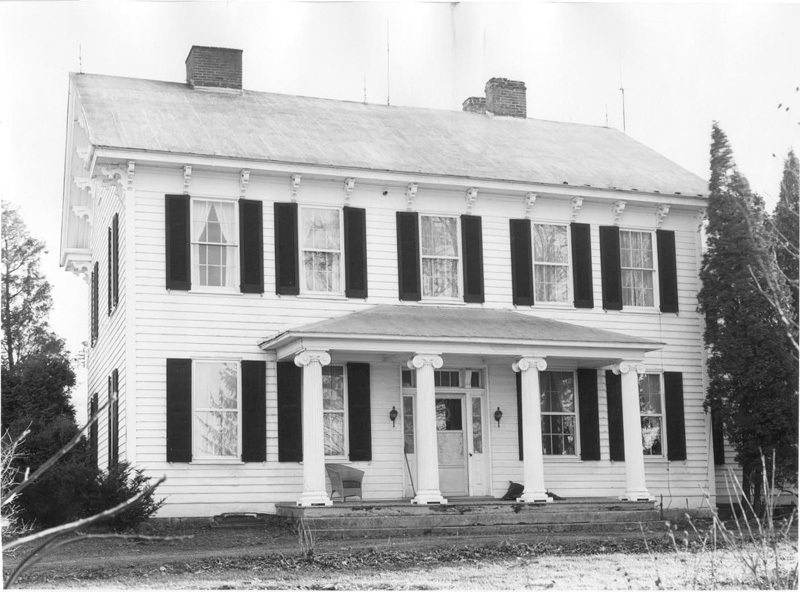 A typical Greek Revival style house in our state has a front facing gable, sometimes with a return, a front entry with a flat entablature and pilasters, or perhaps a repeating pediment over the front door. Most Greek Revival style buildings have broad cornices, some featuring small windows at the frieze or attic level. 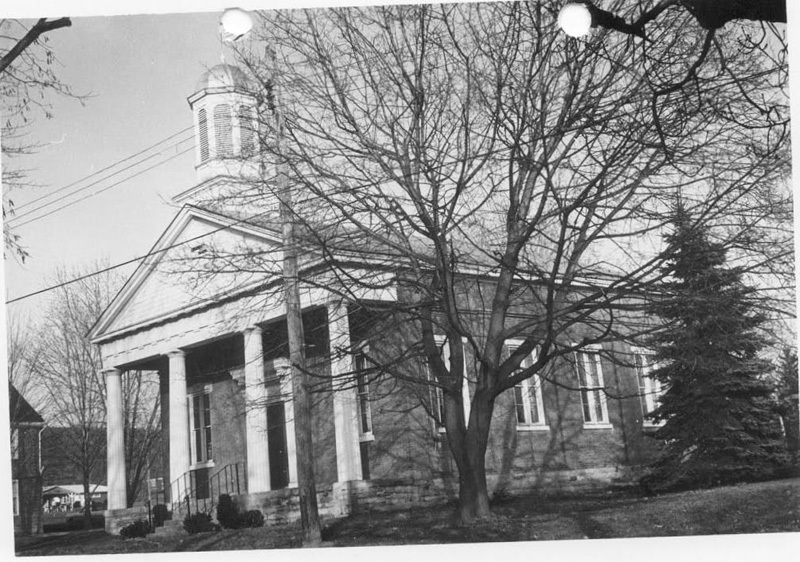 Some Greek Revival style buildings have true temple form with massive, bold columns across the entire front façade. The columns may be rounded and topped with classical order capitals, or they may be square paneled posts. This temple form is more common on high style mansions or public buildings like banks, schools or government offices. 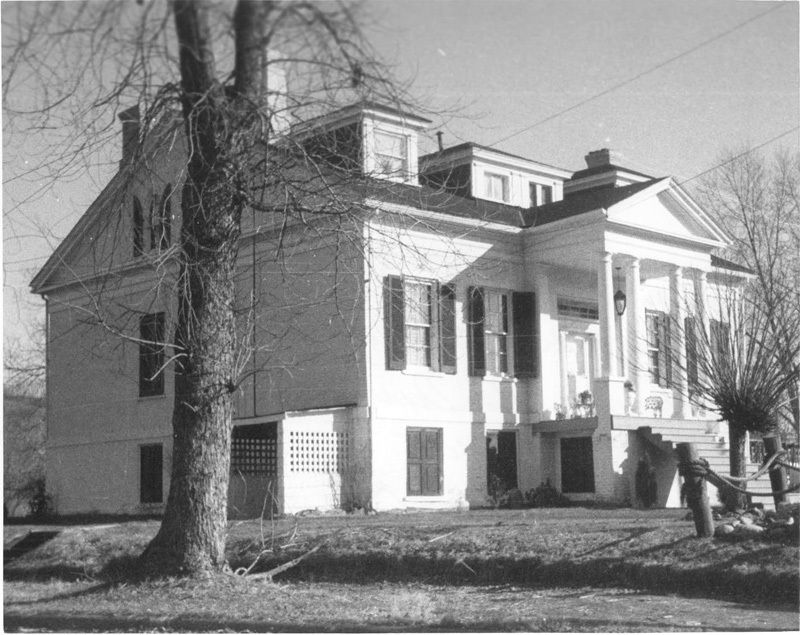 Greek Revival style buildings can take several forms (even appearing occasionally as townhouses with strong columned front entries), but are most easily identifiable by the presence of a columned entry, a front facing gable or pediment, pilasters at the front façade corners, or a wide cornice with small windows.